Arabasti, one of our site NPCs. 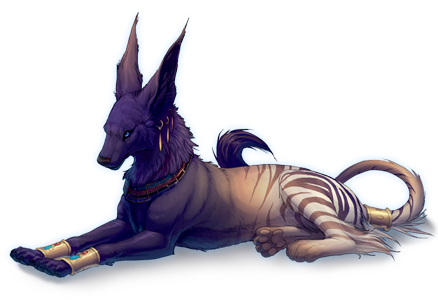 Breedable pets called "khimeras" with endless options for customization via our custom demo system, by ordering special "gold customs" created by our site artist Hibbary, or by coloring your own "platinum custom". Collect one-of-a-kind pets called "khimbits" - with a new breed base and thousands of unique colors every month, there is something for everyone! 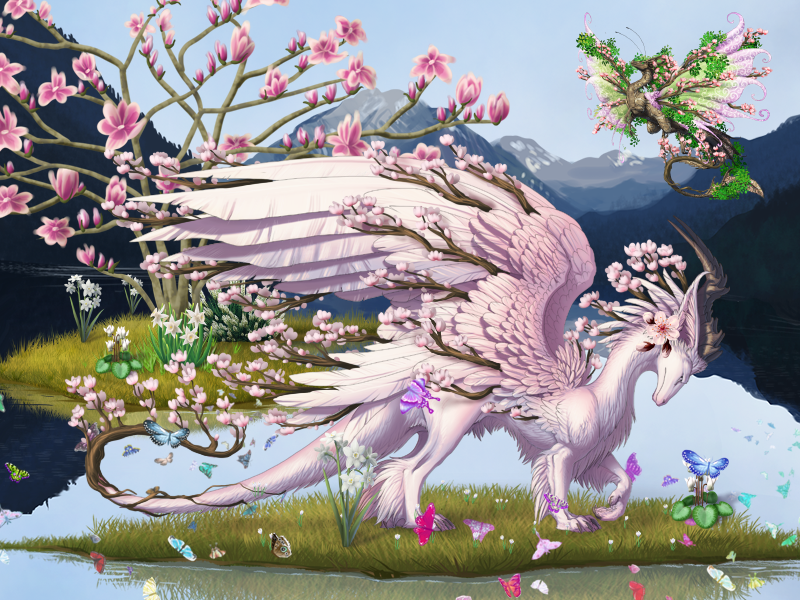 Create unique environments for your khimeras and khimbits using hundreds of decorative items - backdrops, skies, plants, trees, decorative accessories, animals and much more. Unlike the usual static pet customization systems, our item equipping system is highly dynamic - with unlimited item layers, the ability to use multiples of the same item in a single image, drag and drop and resize your pets and items, and much more. Participate in site events that run every other month to collect new limited edition items. Earn activity points through participation in our site forums for the chance to win big-ticket items like custom pets and cash shop items. Interact with other users in our friendly and welcoming community via the live chat and site forums. Khimeros staff are highly involved in the site - we play the game just like you do, and you can find the owner in the site chat every day to chat or answer questions. A user-created "platinum" custom using the "esperi" khimera base, with a wyvir khimbit in the background. Environment created using some of the hundreds of available deco items found on the site.